Convenient ring locks don't get in the way during transportation and keep camera tripod sections reliably secured. The legs are made out of 8 layers of carbon in a chess pattern, making them sturdy and resistant to the weather. The spikes that are supposed to keep the tripod in place on ice or ground are not that long, though they do stabilise it somewhat. This lightweight carbon tripod will become a trusty helper for any photographer, both skilled and amateur. It's one of the most convenient models to use outdoors or in a studio because it's compatible with most cameras and photography equipment you can find today. The head features several secure locks for steady panning movement. Setting the head at oblique angles may be a bit challenging. 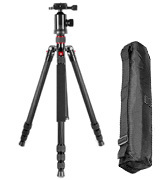 This Manfrotto heavy duty camera tripod has a reliable design and features a pan-tilt head that can be used with both photo and video recording cameras for taking impressive, smooth, panning shots in a studio or on the street. 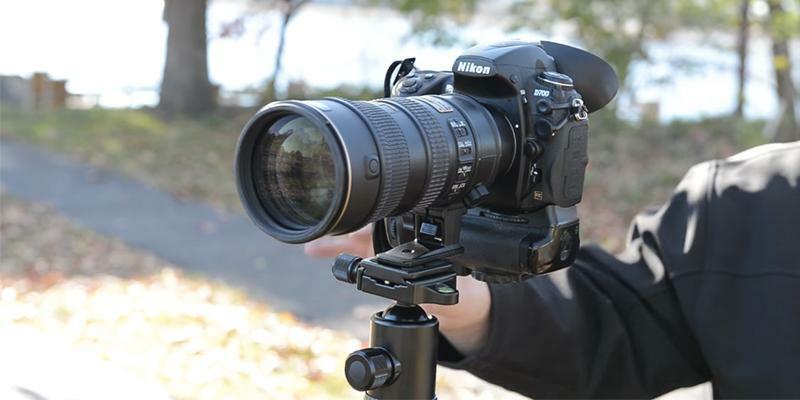 This tripod stand for camera is very lightweight and easy to carry around. 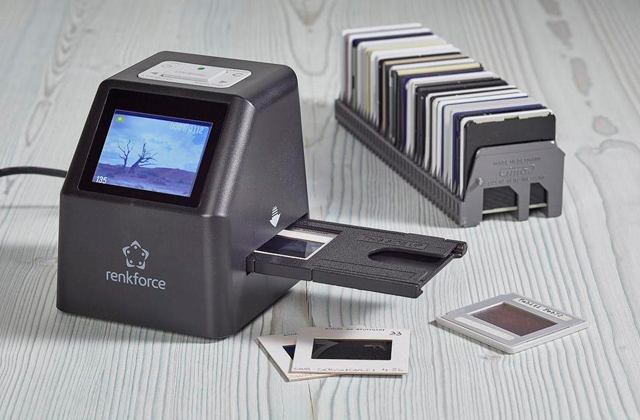 An ideal solution for photographers who often work outdoors. The maximum load capacity is relatively small. 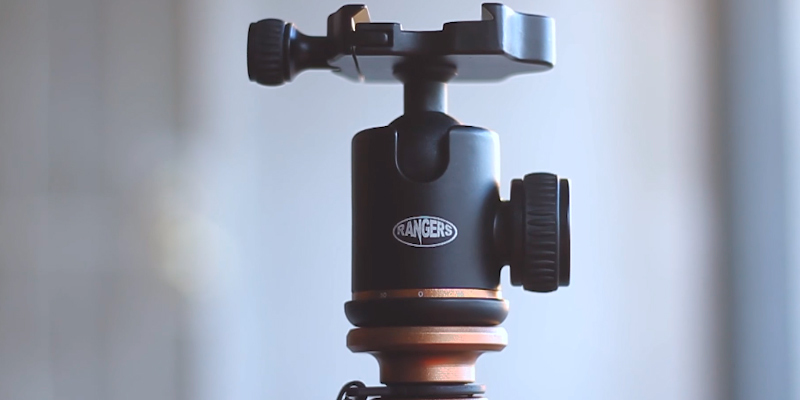 A universal tripod for professionals and beginners. 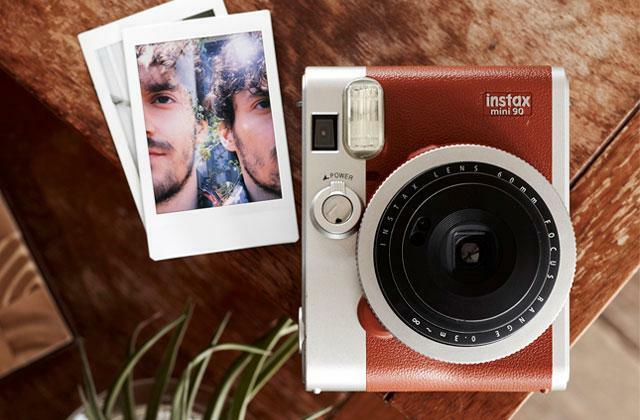 The three-way head makes it easy to switch from a landscape photography mode to portraits and vice versa. It has a sleek and compact design which will be beneficial both for trips and home use. This camera tripod boasts excellent balance and stability allowing it to hold not only a camera but also a bulky telephoto lens. The central column is a bit wobbly when extended. 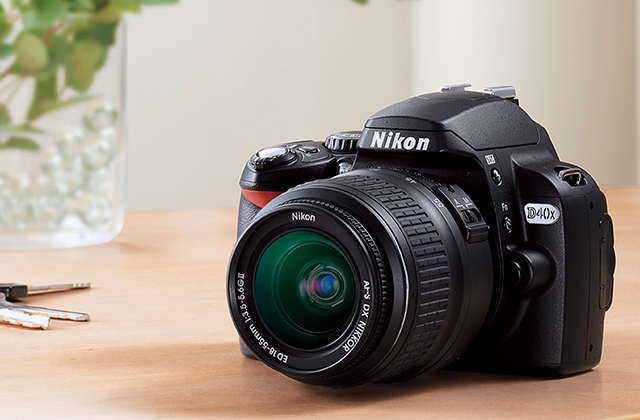 The Rangers RA115 has many features making it a great pick for pro photographers. 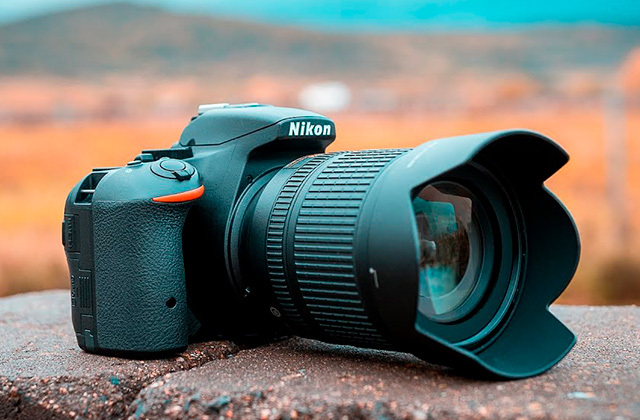 It includes a handy shoulder strap, it is adjustable in height and it can not only rotate but also tilt providing you with many new opportunities for taking astounding pictures. The 3D head lets you turn the camera on three axes: vertically, horizontally, and sideways. The head doesn't fit too snugly. Hama Star 61 is quite easy to use. The extendable legs can be fixated with special locks and the quick-release plate lets you put the camera on or take it off freely and swiftly. The carrying handle makes transportation more convenient. Browsing camera tripod reviews it's easy to get lost in the array of very similar designs and characteristics. However, if you want something not as ordinary as most other camera tripods, we'd like to offer you to turn your eyes to the Neewer Carbon Fiber Camera Tripod Monopod, a product with a few features that should appeal to you. If you travel a lot with your photography equipment, you know first hand how taxing it can be to carry it through a hike in the forest or even out to the beach to capture a beautiful sunset. And if you’re planning to take photos of some event, the last thing you want is to carry bulky additions on top of everything else. Thankfully, the Neewer Tripod won't add much weight to your backpack. It's made of lightweight carbon fiber and weighs 1.5 kg. The advantage of carbon fiber is that it's good at absorbing vibrations which makes it perfect for use with various types of lenses. The tripod is stable and will help you prevent blurring and smudges in pictures. And don't worry that your camera might appear to be too heavy for it, the Neewer Tripod can support up to 12 kg of weight. If your camera isn't heavy and the tripod seems to wobble a little, you can increase stability of the stand by attaching some additional weight to it, like your bag, for example, or anything else. 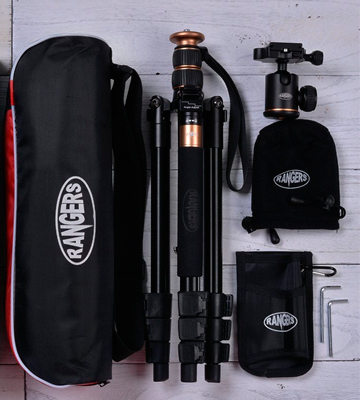 The Neewer Carbon Fiber Camera Tripod Monopod is fitted with convenient ring locks which won’t get in the way during transportation as they do not protrude from the body of the tripod. They do take a bit more time to unlock compared to simple latches but they are more reliable and won’t come undone or get wobbly. And, as a tripod’s main goal is to provide stability, the Neewer Carbon Fiber has special spikes in its feet. These can be used to dig the device into the soil or stake it into thick ice, in order to position it safely and prevent from tipping over in the wind. Also, each of the four legs has angle fixators so you can easily place the tripod on an incline to take some unconventional photos. 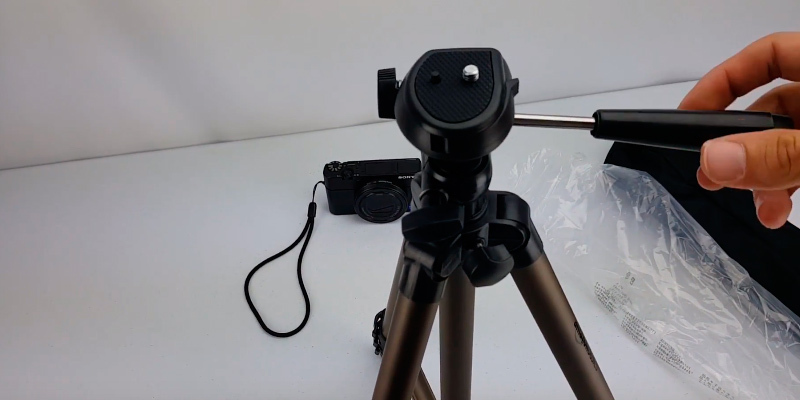 The ball head on this model will let you easily rotate the camera to capture a wide view of the landscape without having to turn the whole tripod or take off the camera. The latter is quite easy to do, though, thanks to the quick-release plate. 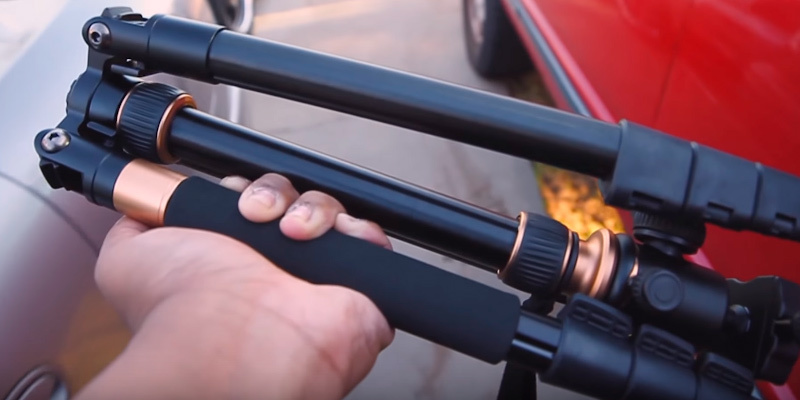 You can pack up your equipment in a matter of seconds as the Neewer Carbon Fiber is easily collapsible and can be freely transformed into a monopod if you need it to. So, with such features as sturdy carbon fibre legs, angle fixators, and extendable spikes, you can take photographs anywhere without anything holding you back. Place the product in a carrying bag that comes with the purchase and take off in search of beautiful sunsets and breathtaking landscapes! 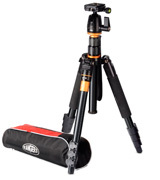 It’s undoubtedly the best camera tripod for an active photography enthusiast. When choosing a tripod, a photographer should consider its functionality as well as his own height if he wants to use it for taking photos in various genres. 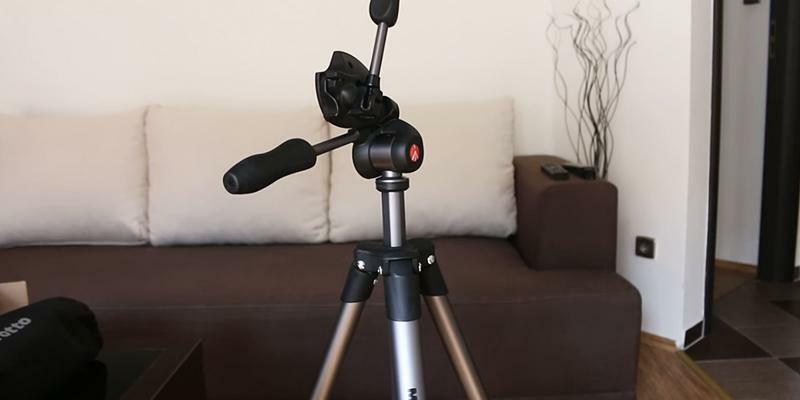 Therefore, this Manfrotto camera tripod can be an excellent choice for the average height people that require a quality and easy-to-set tripod for taking steady shots at long exposure or recording video of different events. It's made of a durable aluminium alloy and weighs only 1.4 kg. What's more, the tripod can be folded and put inside the included carrying pouch that will be only 45 cm long, allowing you to strap it to your camera backpack and take along with you in order to take the beautifully sharp photos in any scenic location that you might stumble upon your travel. The pan-tilt heads are used mostly in TV filming industry where its axis-lock mechanism and 2 handles can provide 3-way smooth panning movement. In photography, such heads are used for shooting panoramas and for taking portraits as they allow photographers to swiftly change the camera position at 90° from landscape to portrait orientation. What's more, you can set the centre column upside down for a low camera angle in this model as well. 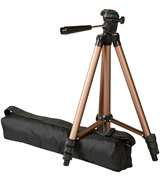 This tripod can be extended from 44.5 cm to 165 cm and can hold up to 3 kg load. This is enough for most of the compact video cameras and many DSLR cameras with standard lenses. 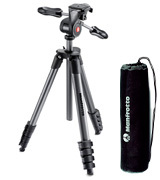 Therefore, we can recommend this Manfrotto Compact Tripod to any photo enthusiast or video camera owner who requires an inexpensive yet durable tripod for shooting videos or photos both indoors and outdoors. Ask professional photographers what they hate about their equipment and most will say “carrying it”. Even a couple of kilograms can be too much when you lug them around all day. That’s why we can wholeheartedly recommend the AmazonBasics WT3130T, a compact light tripod that won’t leave your arms hurting even if you spend your whole weekend taking photos. 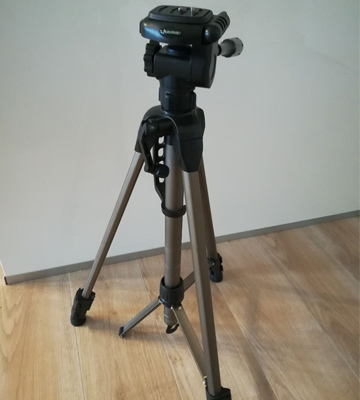 Although it’s made out of relatively heavy aluminium, the tripod is really lightweight at a mere 0.5 kg. It’s very slim and fits easily into a zip-up carrying bag that comes for free with your purchase. The folded tripod is just 42 cm long and, thus, quite easy to transport. Of course, the low weight of the product also means that it can’t support too much. 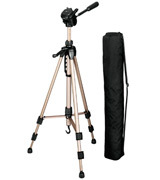 In the case of the AmazonBasics WT3130T, the tripod can hold only 0.5 kg. This is enough to hold an average camera but you’ll have to keep that zip-up carrying bag and any other equipment either on your own shoulder or laying on the ground. The sturdy rubber feet will keep the tripod planted firmly on any soil and the aluminium frame will withstand the weather, so you can safely use it not only indoors but also outdoors when shooting wildlife landscapes. 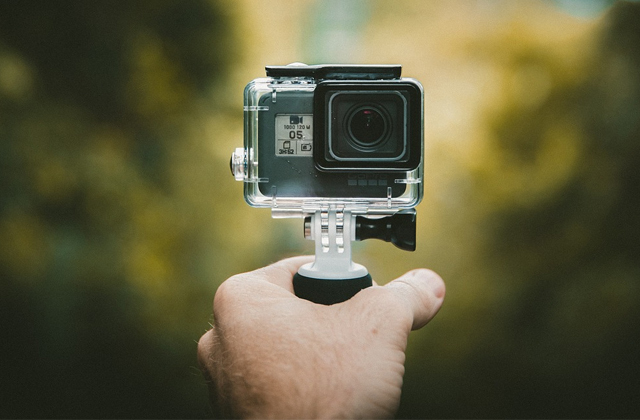 Of course, a camera isn’t just for photos, sometimes it’s very tempting to do a panoramic video of a beautiful view of the beach or simply film a significant event in your life. The AmazonBasics WT3130T is perfectly suitable for that thanks to the 3-way type of head making it way easier to pan the camera over a wide area. The filming device won’t get stuck and the video will be as smooth as possible. Another advantage of the 3-way type of head is that it allows for taking much wider landscape shots as well as rotating the camera. In addition to the 3-way type of head, the AmazonBasics WT3130T features 3-section lever-lock legs that allow it to stand firmly in place and resist weather changes. You can easily mount a 1-section column on top of them, to position your camera 127 cm higher, and rest assured knowing that the tripod will endure the load, even though this may come at the expense of the tripod stability. 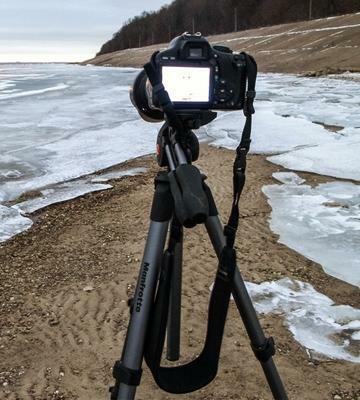 To summarize, the AmazonBasics WT3130T tripod will certainly suit not only amateurs but also professional photographers who love shooting nature. It's well-built, sturdy, and reasonably priced. But what's more important is that it's incredibly compact and lightweight so you'll never have a problem carrying it on sites with you! If you’ve been doing photography for quite a while, you’ve probably already acquired a lot of equipment and lenses for different settings and circumstances. And if you own some of those DSLR ones that often get too bulky and heavy, you've got no other solution than to look towards a tripod like the Rangers RA115 that can hold up to 12 kg of weight. 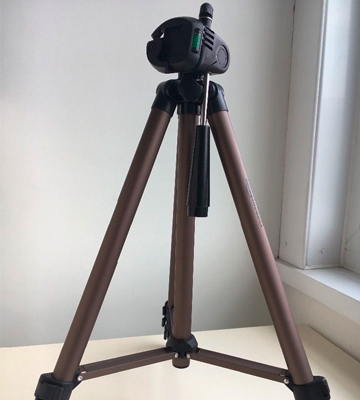 This model comes with a carrying bag for transporting the tripod, and has a handy hook at the bottom of the central column for holding the needed gear at hand. The tripod collapses to a mere 36 cm, which makes it the most compact model compared to other tripods in the review, and weighs only 1.3 kg making it a perfect choice for those on the go. What adds to the usability of the Rangers RA115 is that it's made out of aluminium, which means it will endure just about any weather conditions and won't rust pleasing you with a long year use. The Rangers RA115 features a full manual control and can be extended as high as 142 cm, allowing you to capture a broader view of the landscape so you can see more than you usually would. This, combined with the panoramic ball head, gives you more freedom in expressing your artistic side. The head lets you pan the camera 360 degrees or even tilt it for a unique spin on landscape photography. Open up new sources for inspiration by looking through the lens in a fresh way. Just be careful if you decide to extend the column fully, as the tripod may get wobbly and you may need to have to steady it with your hands a bit. And when you finish taking shots, the tripod is very easy to pack up thanks to the quick-release plate used. The column itself is simple and consists of only two sections that slide down for quick storage and transportation. The legs are also collapsible. One of the better things about this tripod is that it has flip locks which rid you of the need to hold your photo gear in hands providing you with more flexibility during photo shooting. They do protrude a bit though so be careful when packing the tripod. All of this makes the Rangers RA115 a very solid choice for those looking to experiment with their photography or take it to new heights. It’s easy to pack up and transport, making it an alluring choice for those on the go. Bored of taking samely scenery over and over again? Look for new ways to bring diversity to your photos? You're in luck since the Hama Star 61 can open up many opportunities stirring in you many new skills and talents. The discerning advantage of the given tripod over the others is the 3D tilt head. What this means is that the tripod allows for rotating a camera in any direction - vertically, horizontally, and even sideways - to capture the view you need. So you can release your creativity and experiment with shots turning the world upside down. The best thing is, your options aren't limited to taking only still photos. 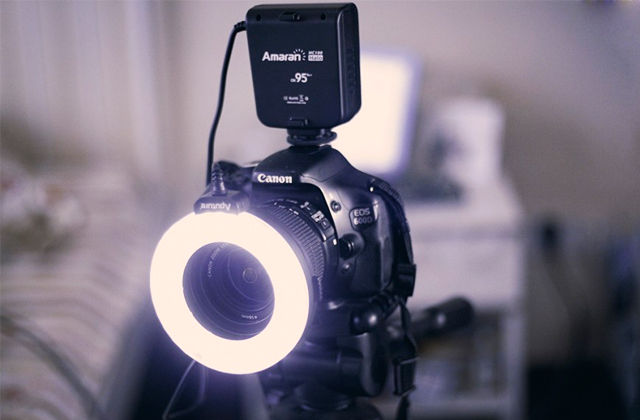 The Hama Star 61 allows for panning the camera over a wide area providing you with complete freedom of movement and allowing you to film in the smallest details. Just make sure not to spin the head too wildly as it isn't nested snugly and might come off. Another thing standing the Hama Star 61 apart from many similar models is that it can be extended up to 153 cm allowing you to capture a really wide field of view in front of you. The 2-section column is easy to extend and you can weigh it down by hanging your equipment on the hook. Now let’s cover the conveniences of the Hama Star 61. The extendable legs on this model consist of 3 sections and have flip locks to secure the tripod position. 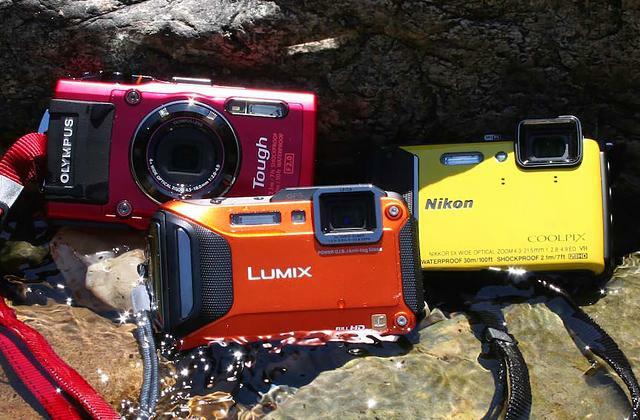 It has a quick-release plate which holds the camera and allows for its quick removal. And, as we've already mentioned, it features a collapsible column that can be folded to a miniature size for convenient transportation. Other conveniences that we should mention about the Hama Star 61 include its lightweight design making 1.22 kg of weight, aluminum construction contributing to its longer service life, and good load capacity making 3.5 kg. On top of that, it comes with a carrying case allowing you to transport it comfortably and compactly. Being one of the simpler options on the market, the Hama Star 61 doesn't lack functionality you'd expect from a tripod. So if you've come here in search of an affordable model that would lend you a helping hand while being somewhere in the wild, this camera tripod may be the right fit. 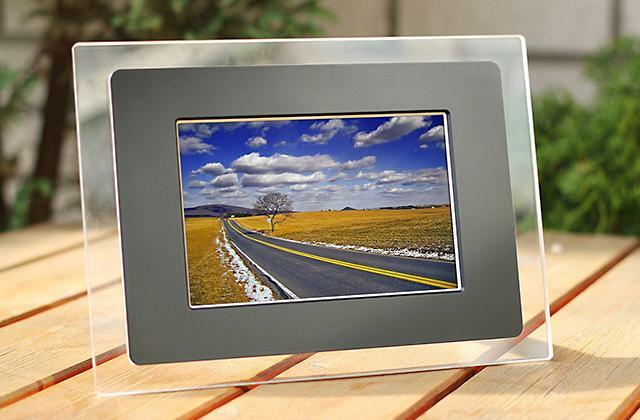 Not only will it allow you to broaden your field of view but also help you find many new and beautiful perspectives. 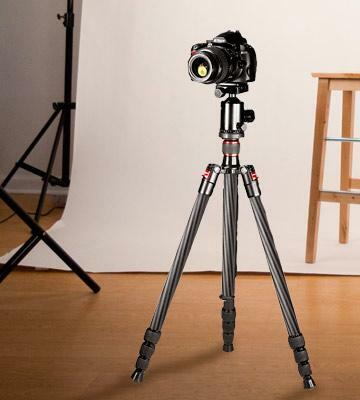 What Is a Camera Tripod? Any photo enthusiast knows that frustrating feeling when a handheld photo just doesn't come out right because of the slightest vibration that smears the picture and totally ruins the effort. Therefore, photographers often use a special pole with 3 adjustable legs, called tripod, to put their camera in a stable position and get a perfectly sharp shot, unaffected by trembling hands or vibrations from other sources. Any high-quality architecture masterpiece, nature, macro, and panoramic photographs are done with a tripod support. Furthermore, tripods are often used in photo studios for getting clear, crisp portraits of a sitter. However, you can also see them used for shooting news reports, documentaries, concerts, and movies. Usually, a tripod comes with a special camera head that mounts on top of the centre column. 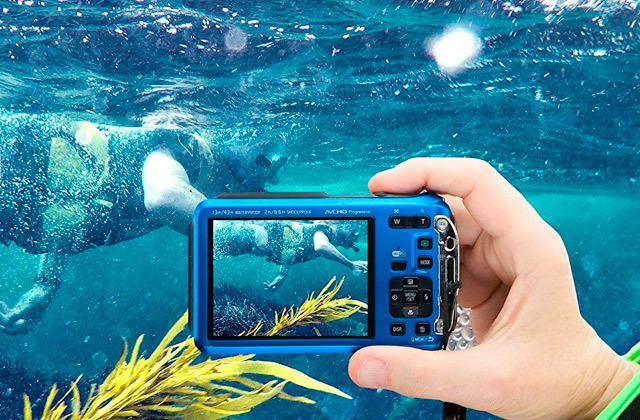 It provides better control of the camera movement flow and can be fixed in certain positions. But more of that below. So, if you want to gear up your photo studio or you plan to set off for a long journey with a scenic route, you might also be interested in our review of the best camera backpacks with a strap for a tripod fixing. But that's not all. 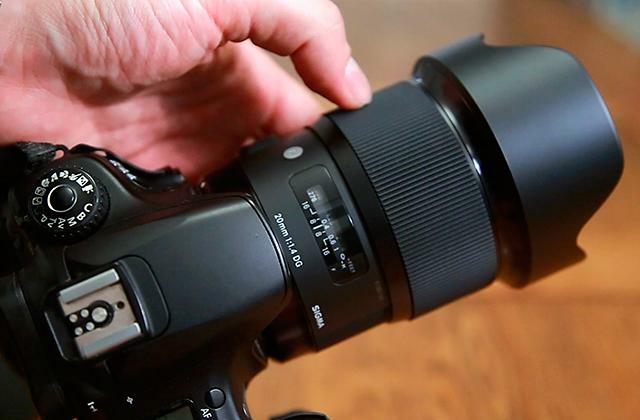 You might also want to check out our pick of the best portrait lenses. And for those, who want to know the latest tendencies in the photo industry, we can recommend our fresh selection of the best mirrorless cameras. Let's say a few words about compatibility. Most camera tripods come with a column that has a 3/8" screw for mounting a head. The head, in turn, has a standard 1/4" screw that matches a threaded hole located at the bottom of most DSLR and compact cameras. 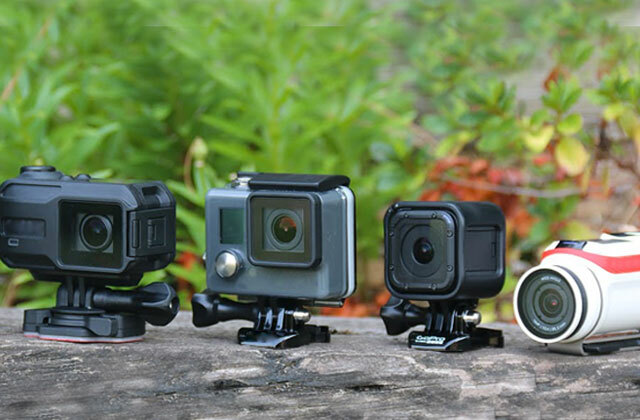 Therefore, you can use your DSLR, GoPro or even TV camera with any of the tripods described in this review. So, the first serious parameter to check out is the maximum Load a tripod can support. If you don't know the weight of your camera with a lens, just google them separately and sum up the weight. If you are worrying that a huge telephoto lens might disrupt the balance, look for a tripod with a counterweight hook at the bottom of the centre column. Also, some models come with a leg spreader that has bracket arms for some additional stability. Check what material a camera tripod is made of. The most common materials used are carbon fibre and aluminium. The first one is lighter and somewhat better at vibration dampening, though such tripods cost more than the metal ones. A bit heavier aluminium model can be helpful for shooting outdoors where lighter models can be simply kicked over by the wind gust. But carrying a heavy model for several hours can be tiresome. 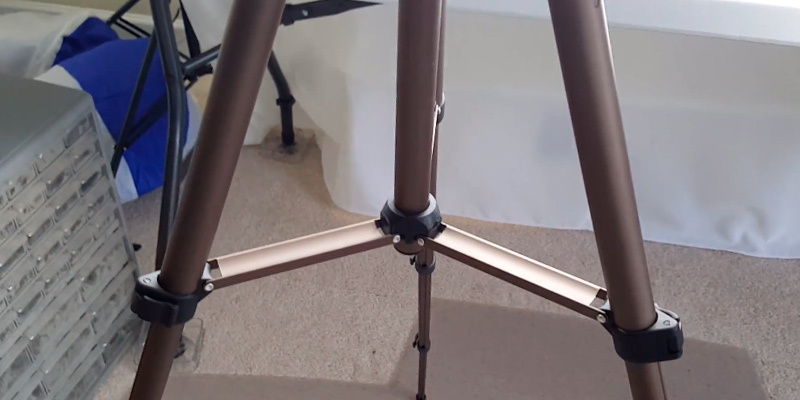 As a rule, tripod legs have from 2 up to 5 telescopic sections. The more sections, the more compact the tripod will be when folded. Still, a large number of parts may affect the overall stability of the stand. The centre column may also have 1 or 2 sections. There are a lot of models with telescopic legs and an adjustable centre column. Note that there are several head types that define the camera position and movement patterns. Ball head can be rotated all around and has a very smooth running, yet be careful not to bump it accidentally. 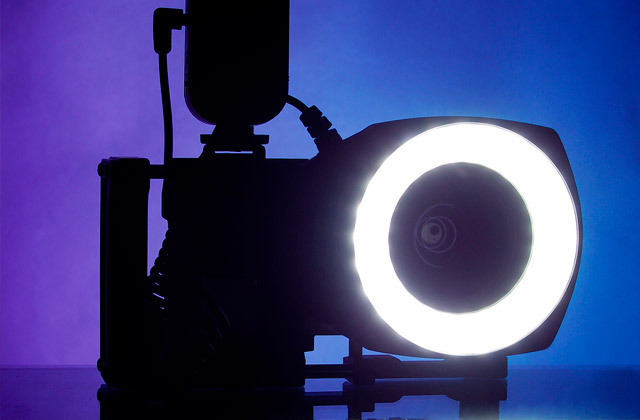 3-way Pan-Tilt heads are usually cheaper and allow a more precise adjusting. The downside is that they have large handles that always get in the way and also many levers that you have to tighten up or loosen almost every time to move and fix it in a certain position. Gimbal heads are very specific and designed for holding large and heavy cameras. 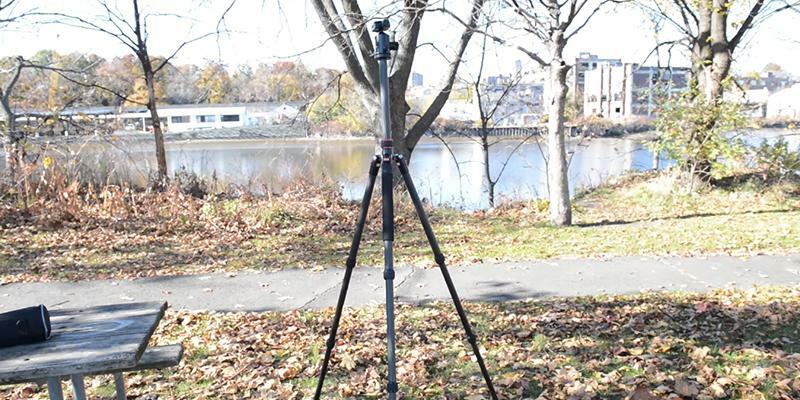 There are several features that can improve the usage of a tripod. For example, if the legs have pointy spikes on their ends, they will stand more securely on the soft ground. For shooting in a photo studio, you might need a taller tripod to take photos at the eye-level. The quick-release mount plate comes handy when you want to quickly change the cameras or when you need to take several handheld shots. 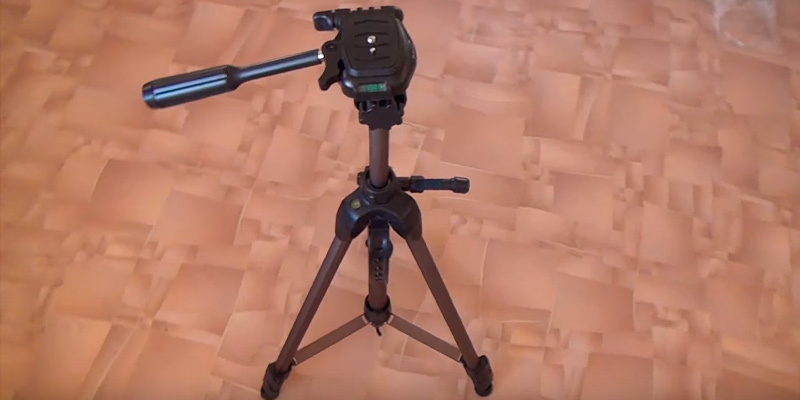 By the way, some tripods can be transformed into a monopod that can provide some support for taking stable shots where you just can't unfold a tripod. Additionally, the package may also include some Extra Items like a pouch for the head or a carrying bag for the tripod itself. 1. 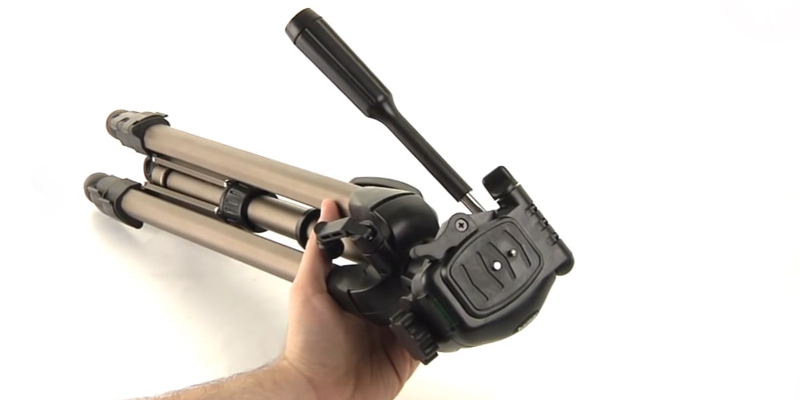 Simon Ringsmuth Tips for Choosing a Tripod Head, Digital Photography School. 2. Harry Guinness Everything You Need to Know About Choosing the Perfect Tripod, MakeUseOf. July 7, 2016. 3. Camera Tripods, Cambridge in Colour. 4. How to Choose a Tripod, MediaCollege. 5. Nigel Atherton Choosing a Tripod, What Digital Camera. June 19, 2016. 6. How to Attach a Camera to a Tripod, wikiHow. August 2016. 7. Nasim Mansurov How to Use a Tripod, Photography Life. January 10, 2015. 8. Jason Row When and How to Use a Monopod Instead of a Tripod, Light Stalking Photography. July 17, 2013. 9. Mark Myerson How to Photograph the Starry Night Sky: 7 Expert Tips, Shutterstock. July 9, 2015.